Adidas Golf has announced the launch of its new line of Tour360 footwear, including the line's first-ever spikeless shoes. 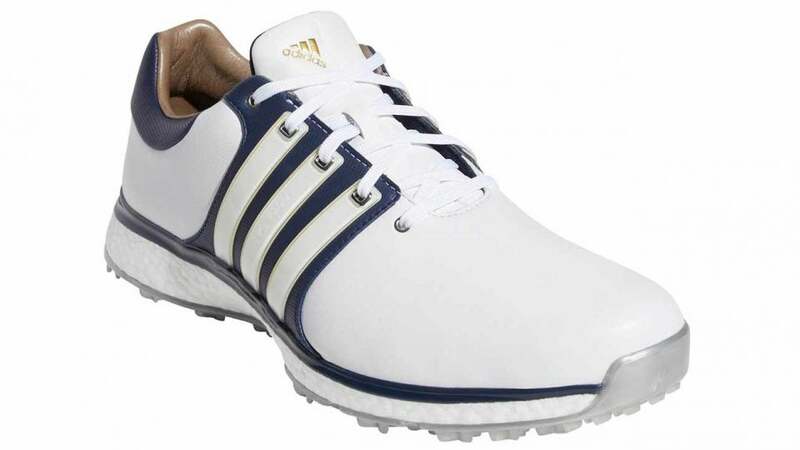 The new Tour360 XT and Tour360 XT SL are available Jan. 28 online from adidas.com, and Feb. 1 in stores. Check out the new kicks below. Tour360 XT SL ($170) The first highly technical spikeless shoe in the 360 line. The goal with the shoe was to provide comfort while maintaining stability and traction. The "XT" in the name refers to Adidas's X-Traxion lug system; X-shaped lugs, which vary in height, are spread out across the bottom of the shoe to provide the comfort of spikeless shoes while maintaining performance. The X-shaped "X-Torsion System" connects the heel and forefoot. The shoes are available in four colors and come with a one-year waterproof warranty. Tour360 XT ($200) This is the redesigned version of the shoe already made popular by Adidas stars on Tour like Dustin Johnson. Eight spikes (two fewer than the previous model) combine with the new X-Traxion lugs for a lighter shoe with greater flexibility and comfort. Tour360 XT SL BOA ($180) The BOA is similar in performance and look to the XT SL, but comes equipped with a different closure system on the tongue, which provides maximum adjustability for the shoe. It comes in two colors.